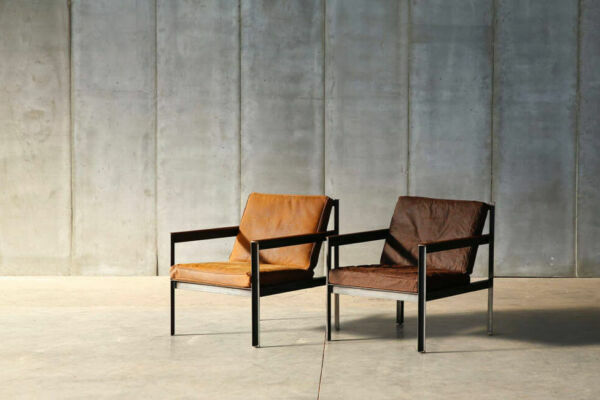 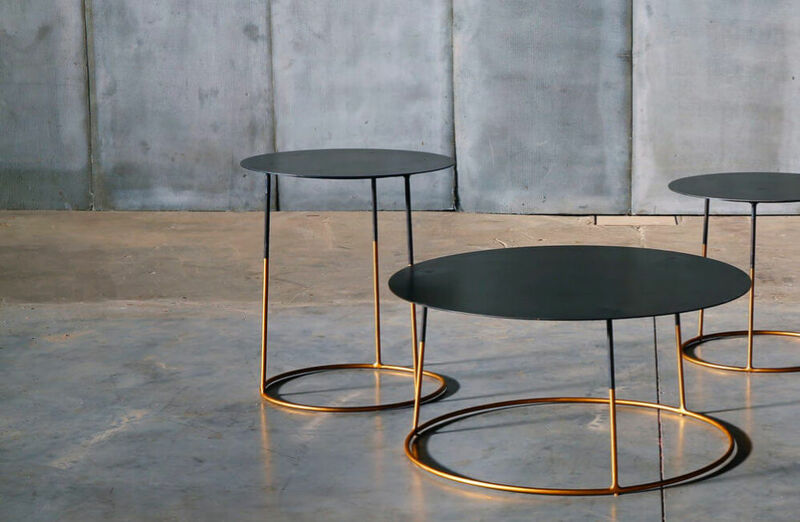 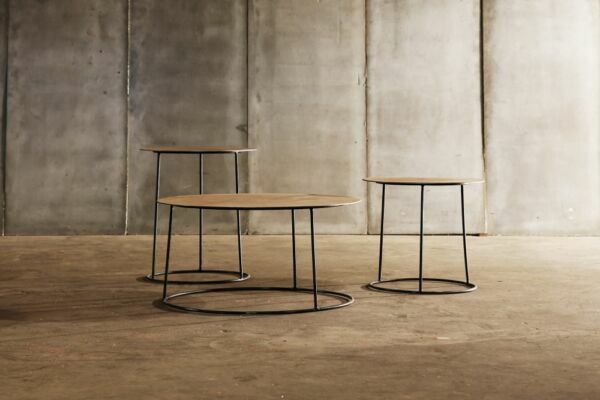 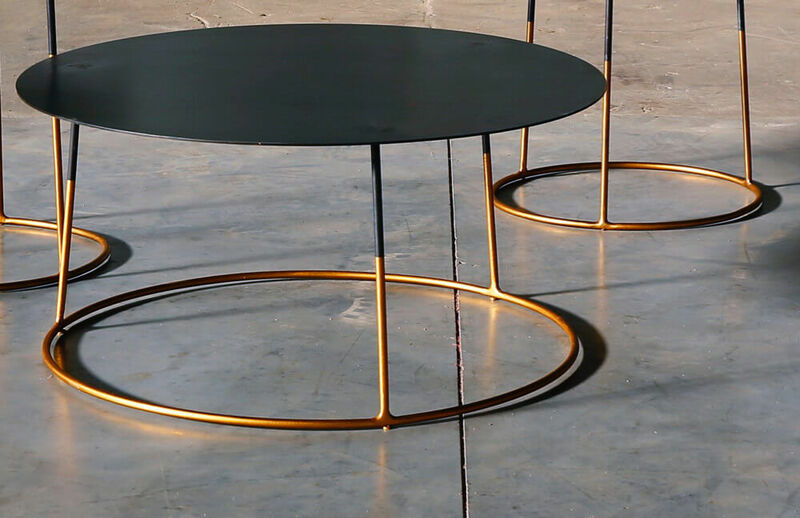 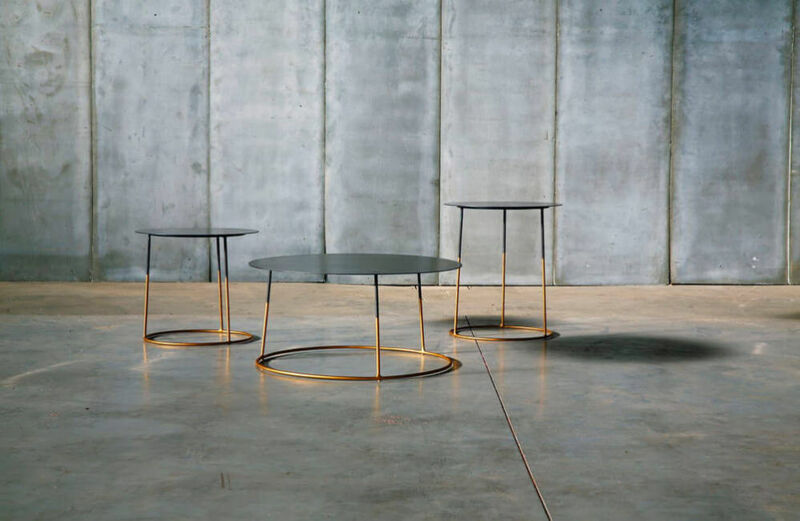 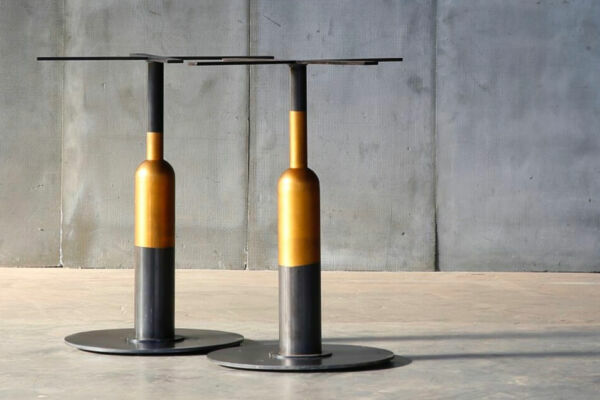 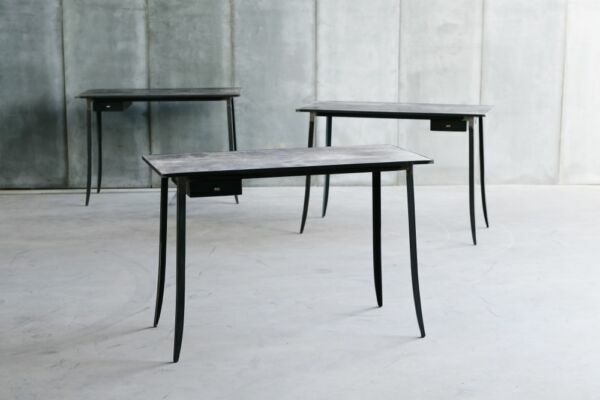 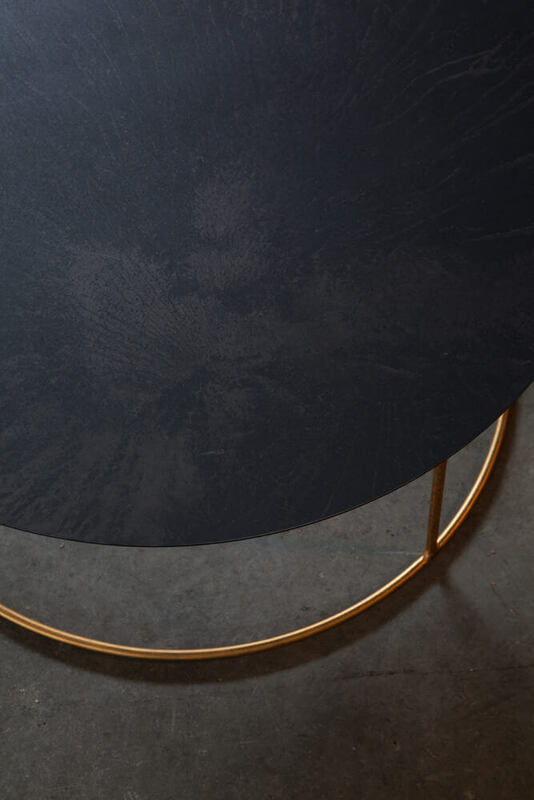 The Nimbus Gold coffee tables are made from steel plates, fixed over a solid steel base. 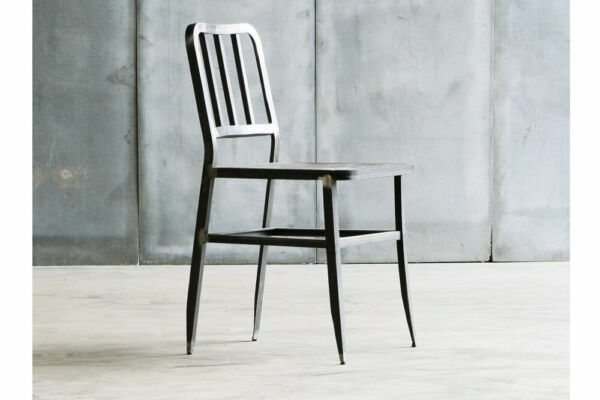 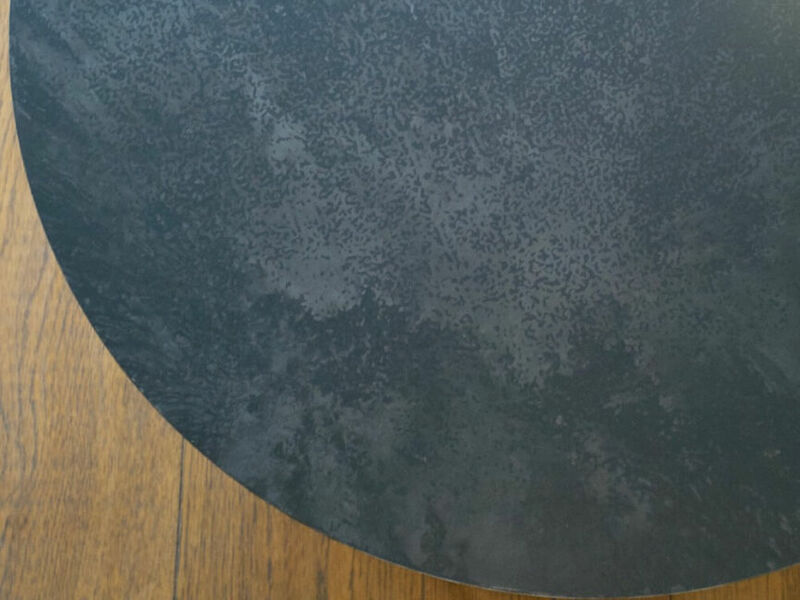 The tops are distressed by hand, so the lunar patination will differ from table to table. 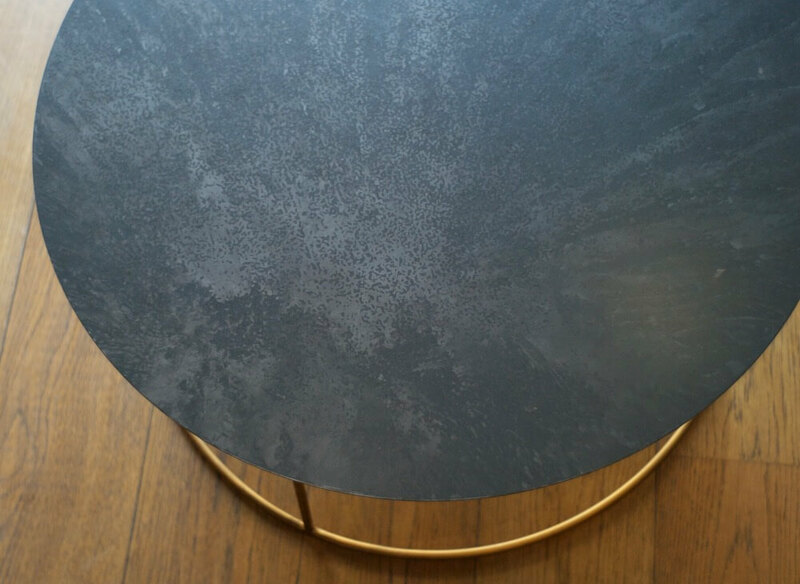 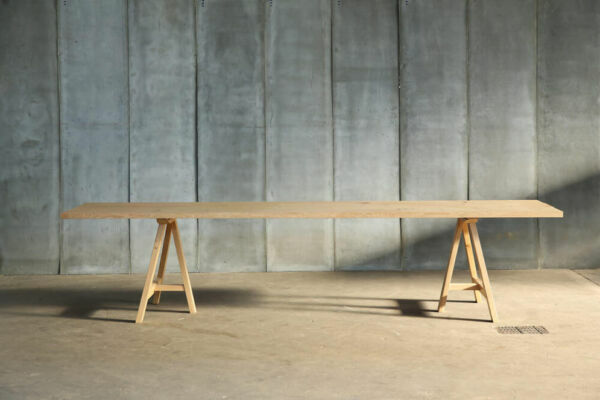 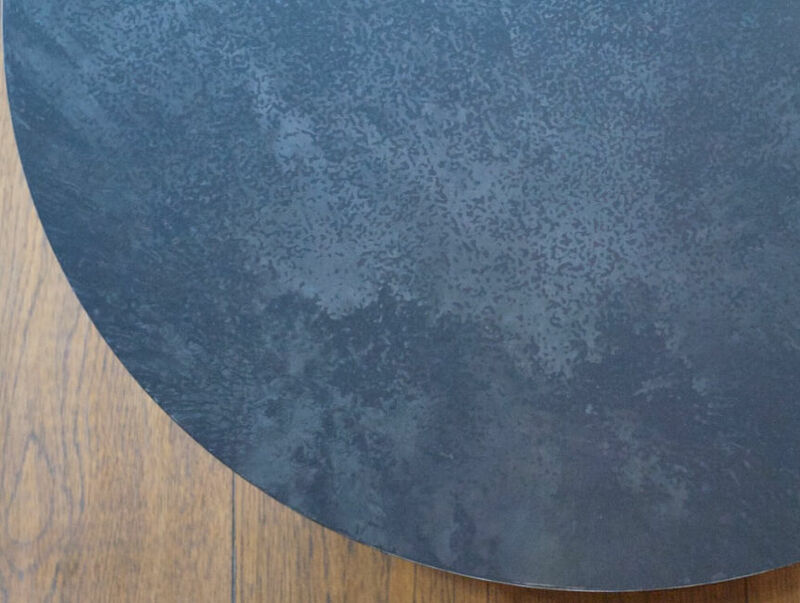 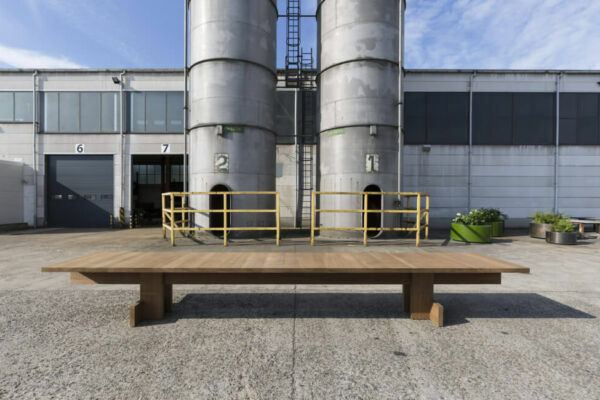 Metal tables by Heerenhuis are finished with three layers of invisible matt varnish and should be cleaned regularly with a damp cloth. No need to oil or revarnish.